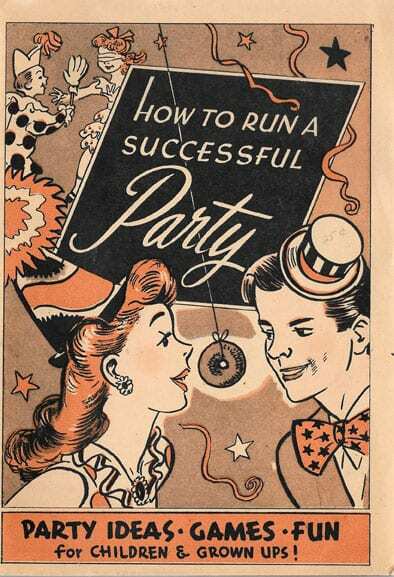 How to Run a Successful Party: Party Ideas, Games, Fun for Children and Grown Ups, 1945, Doughnut Corp. of America, Nearly Mint Condition: Not a recipe book, but a booklet with many party ideas, most of them involving doughnuts. Many mentions of World War II and doughnuts as morale boosters. 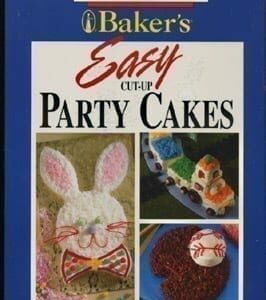 Party ideas include circus and pirate parties for children, a movie star party for teenagers, a Hallowe’en party for grown-ups, a country fair party for servicemen and for fund raising. Many, many uses for doughnuts! 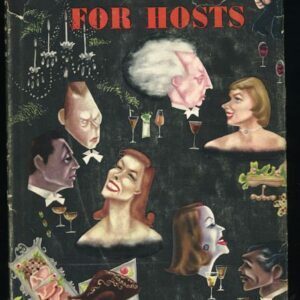 Text was written by Elizabeth King, fun editor of Parents’ Magazine. 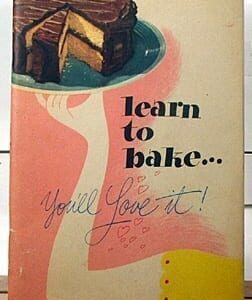 Book is very nearly in mint condition. Paper cover has a tiny (1/8″) nick out of the corner and a 1/4″ fold in the lower right corner. 31 pages. Pages all clean and clear. Stapled binding is perfect.